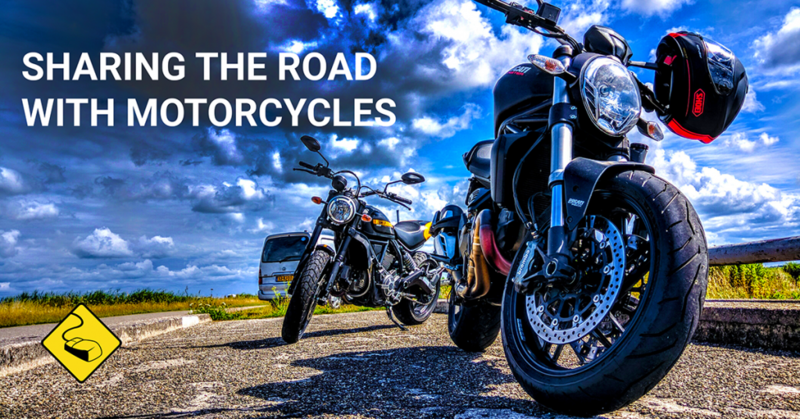 The highways and byways are meant to be shared by everyone with a license to drive, motorcyclists included. Therefore, safety tips for sharing the road with motorcyclists should be the concern of every driver. Motorcyclists are often disrespected with dangerous consequences. In theory, safety accessories like full face helmets and protective boots should provide protection for people who choose a two-wheel mode of transportation. Unfortunately, despite the safety gear motorcyclists are more often than not get the short end of the exchange when involved in an accident. In 2015, 88,000 out of 8.6 million motorcyclists were injured in accidents. According to the National Highway Traffic Safety Administration (NHTSA) the fatality rate per registered vehicle for motorists in 2015 was six times the fatality rate for passenger car occupants. 1) Allow for more spacing between your vehicle and motorcycles. Motorcycles are nimble machines that give the operator the ability to navigate between tight spaces at high speeds. Despite that ability, motorcycles are also vulnerable to elements that are of a lesser concern to other drivers, like gusts of wind. Motorcycles need a full lane’s width to maneuver safely. As a result of a motorcycle’s maneuverability and speed it can be difficult to see and maintain a line of sight with a motorcyclist. Give motorcycles an added length of space when following them or attempting to pass them. The turn-signals on a motorcycle are manual. Sometimes motorcycle operators forget to cancel their turn signals. If you notice a motorcycle with a turn signal on, exercise caution. There is a possibility that the turn signal simply has not been disengaged. When changing lanes near a motorcycle, turn on your turn signal then allow for an extra amount of lane-changing space before beginning to merge. If another driver encumbers your attempt at merging, the motorcycle will have the necessary space to steer towards safety. Weather can severely hamper the driving. The same goes for motorcycles, only doubly so. Slippery road conditions, rain, and fog, can spell a drastic change in the handling of a motorcycle. Visibility is another factor to consider when riding a motorcycle in bad weather or driving around a motorcycle in bad weather. In any case, give motorcycles an added padding or room to allow for corrective actions. We can all make a difference. We need to be mindful, observant, respectful and exercise more caution when driving with motorcycles in your immediate vicinity.